Healthy living and giving back to people in need is the driving force behind Allaire Community Farm. We have learned that our greatest joy came from helping those in need and serving others. With this in mind we began to look into what we could do to pay our bills while fulfilling our desire to serve others in need. When we established the farm in 2013 it was our vision to create a sanctuary in which we could give back to the community. We desired to provide a caring and nurturing environment for children with special needs and at risk young adults by utilizing our rescued animals to break down barriers. In addition, we offer free organic produce to those battling cancer who need to build up their immune system. While visiting, guests are encouraged to interact with rescued animals, learn about healthy eating, gather eggs from our hen houses, learn about the importance of honey bees to our environment, and in the future, enjoy fresh produce from our greenhouses. 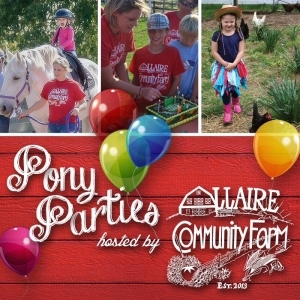 To supplement the farm, we offer community events, pony parties, scouting events, school class trips, and riding lessons. Members of the community are also welcome to join our organic co-op and receive fruits and vegetables at reduced prices. We would love to employ at risk young people on our farm. In doing so, these individuals will begin to have purpose and improved self esteem. The only thing holding us back right now from fulfilling our goal is financial backing and community awareness. We would also love to have members of our community embrace this vision by volunteering at the farm and sharing their gifts and talents. We would be happy to answer any question you might have and invite you to visit our farm. Thank you for taking the time to learn about our farm.